Faye, one of my fellow Ethical Writer's Coalition members who writes a beautiful blog called Sustaining Life (*check her blog out it is lovely!) has kindly shared her delicious money and earth friendly recipe for Kitchen Scrap Vegetable Stock. At this point in our venture towards a zero waste kitchen, our 'garbage bag' food scraps from food preparation so a recipe which can utilize my waste and avoid processed store bought veggie stock peaked my interest and I had to give it a try. Faye didn't lie. It works like a charm. 1. Save up your veggie scraps over time, store in the freezer. When your bag is full, you're ready for a stock day! 4. Cover and place in the oven for 20-30 minutes. 5. If you used a baking pan, now is the time to transfer your roasted scraps into a large pot. Fill your pot or dutch oven with enough water to cover the now-roasted scraps, which should be just a bit more than the amount of liquid that will fit in your stock container. 6. Bring the water to a boil, then cover and let simmer for at least an hour and up to two. 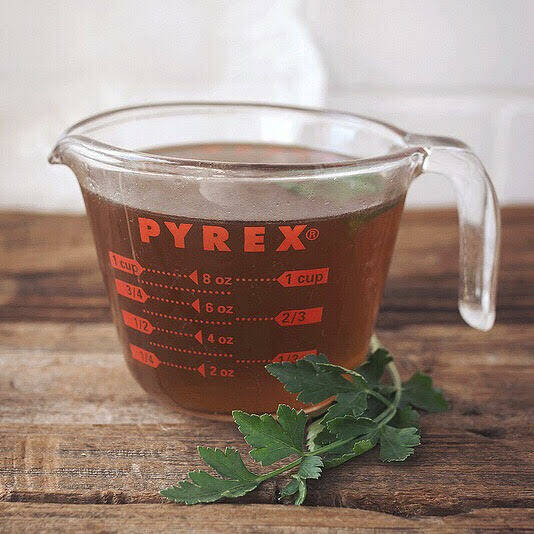 Avoid letting it simmer for much longer than two hours as the extra time can cause the flavors to cook off, leaving you with a dully flavored stock. 7. After simmering for 1-2 hours, take pot off the heat and let cool until you can safely touch the vegetables without burning yourself. Then, with a large bowl and colander, start to strain the stock from the scraps. You will probably have to do this in a few batches as the bowl will fill up and make a mess. 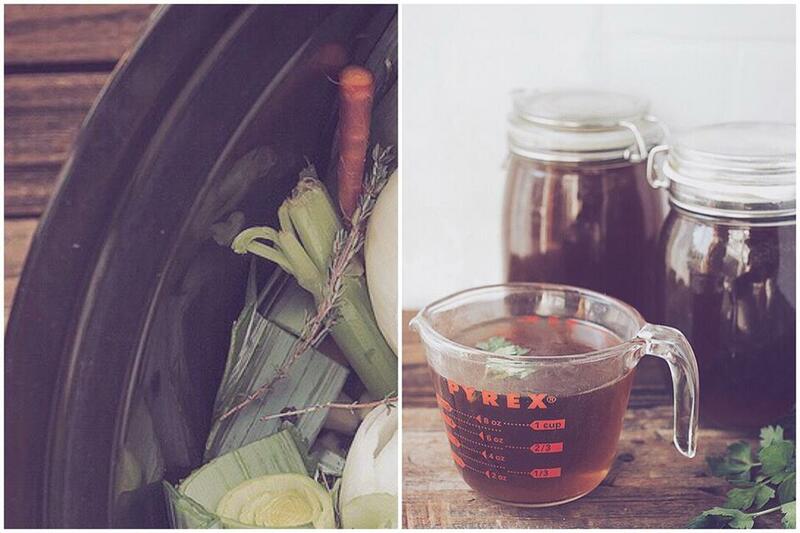 Toss (or, ideally, compost) the used vegetable scraps and transfer your strained stock into its designated container. 8. Stock will keep for 2-3 weeks if kept in a sealed container in the refrigerator. Add different seasonings to mix up your flavors depending on the type of soup you are making - I love using lemongrass to punch up the flavor for a Pho-inspired noodle soup. Though, I will often use my stock instead of water to simply cook rice or roast vegetables as it rounds out the warm flavors really nicely. I love this idea. Thanks for the tip!